Cooking a roast on a Sunday can be difficult if you go to church, especially if your oven timer doesn’t work properly. Mine does technically work but the buttons have fallen off, so I have to use a skewer (see Essential Kit) to poke it and it’s a bit of a pain. 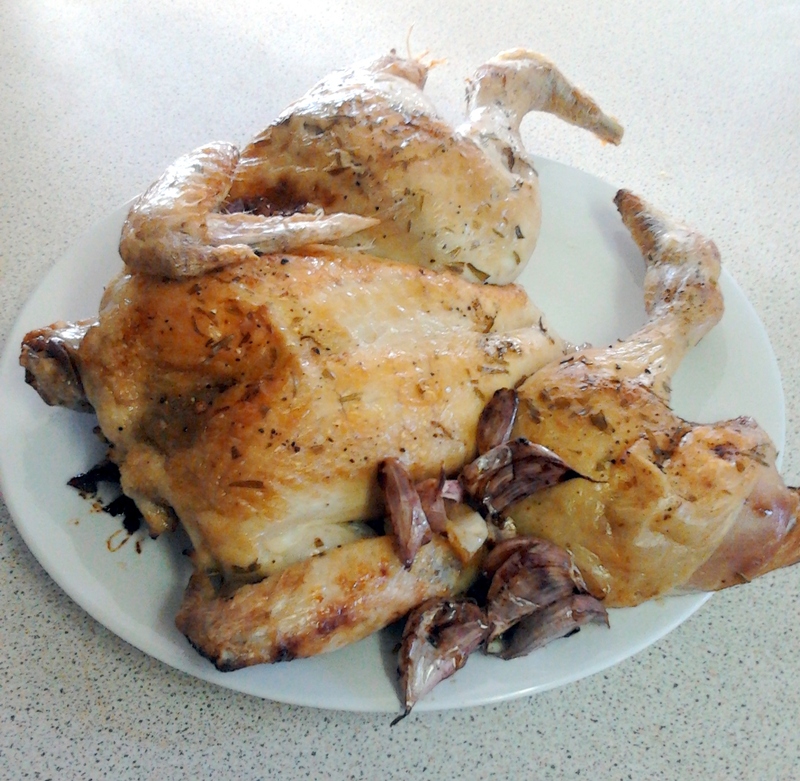 So I was quite excited to be able to do a roast chicken in under an hour. I didn’t even have to prep anything before church! 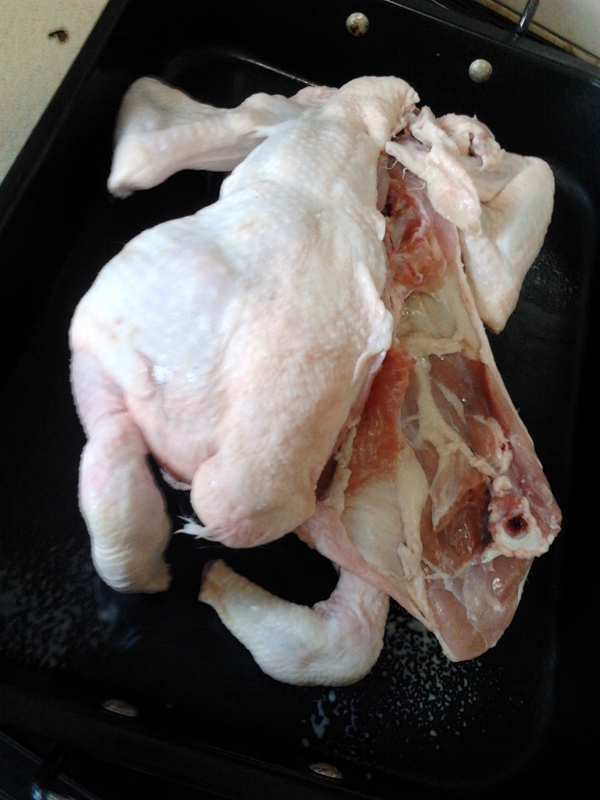 The reason it cooks so fast is that the chicken is cut and opened out, or butterflied. This is called “spatchcocking,” a delightful word that I think we should make an effort to keep in common parlance. Lorraine suggests the use of a good pair of scissors, and with some bravery and brute force, I managed quite easily to cut alongside the backbone. and add seasoning, lemon slices, tarragon and garlic. You could do this in advance and cover and refrigerate until needed. 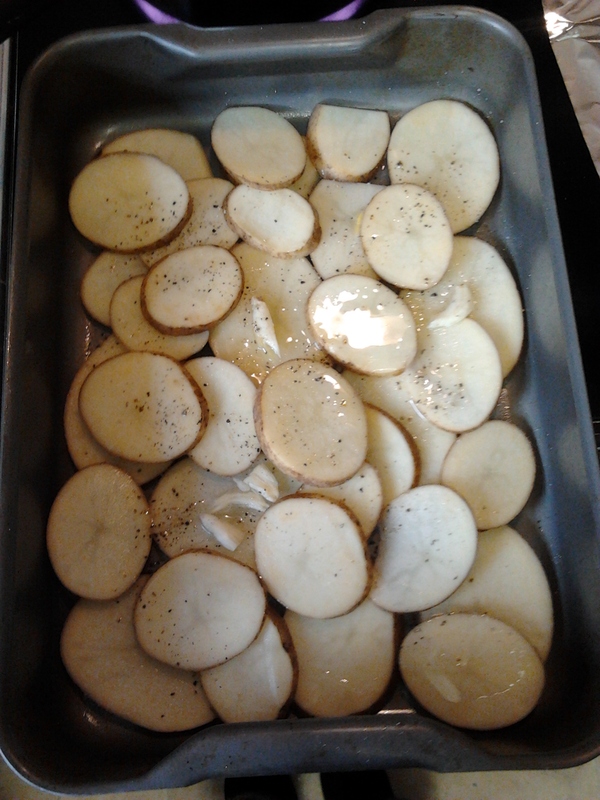 Then I prepped the potatoes. The recipe doesn’t say how to prepare the potatoes, but as it is for “when time is not on your side,” I opted for unpeeled and then sliced. This made them nice and crispy. 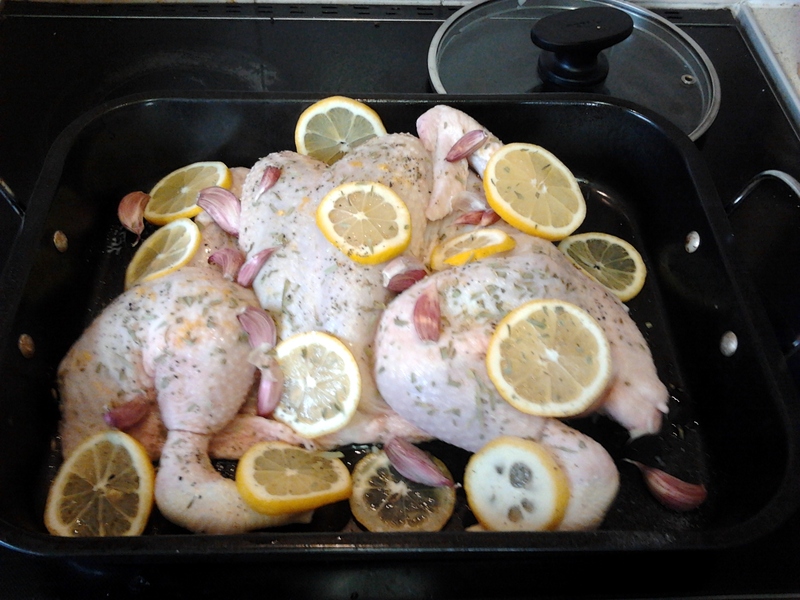 The potatoes and chicken both take about the same amount of time (1.6kg chicken – 15 minutes at 180′ in my fan oven). 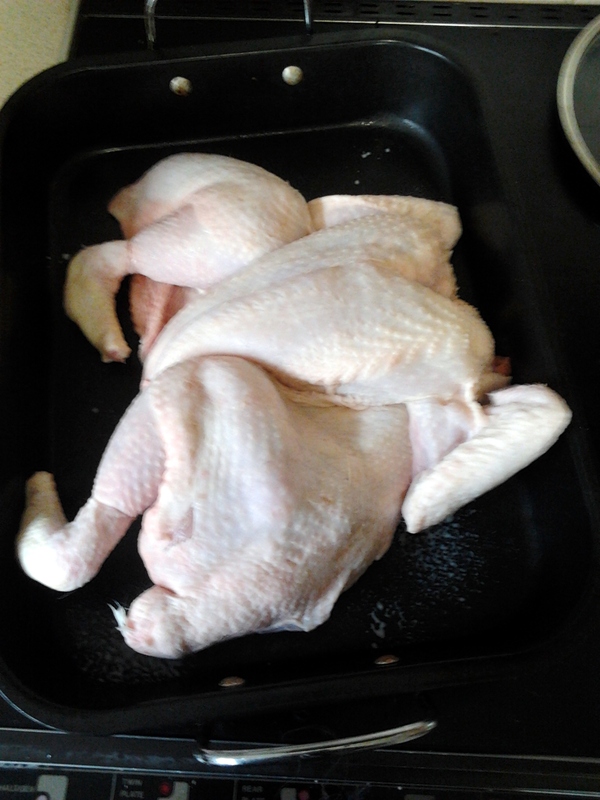 The chicken stays lovely and moist. It’s cooked with garlic and I’m not sure what you’re supposed to do with the garlic afterwards – I served a bit with the chicken. I also cheated by using dried tarragon, but it worked fine. A gravy made from the juices, stock and wine was gorgeous. 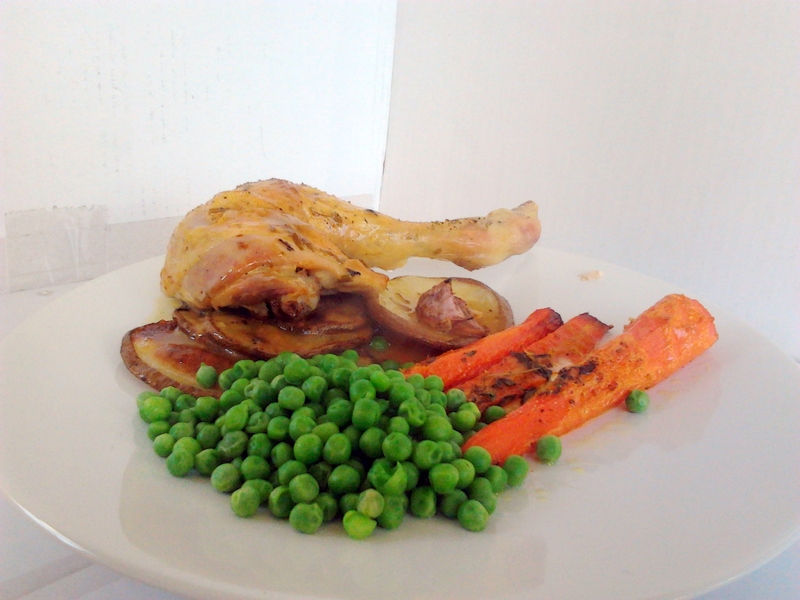 I served the dish with roast carrots (see below) and peas. Anyway, back to the recipe. I agree with her that this way of roasting carrots (parboiled first) with thyme and lemon zest is so much better than the bland boiled variety. It took about 45 minutes in the oven so was a perfectly timed accompaniment to the chicken. I worried that it might be lemon overkill but it was actually quite subtle. Definitely worth cooking again, especially on a Sunday!